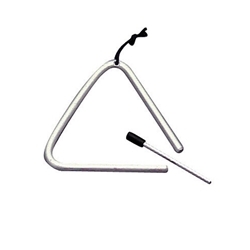 Pure of tone and clear ring, this 4" aluminum triangle has a non-detachable loop handle allowing easy playing. Detached striker included. Includes songs and playing activities and safe for ages +3 years.